What Hotel Amenities Do People Really Care About? 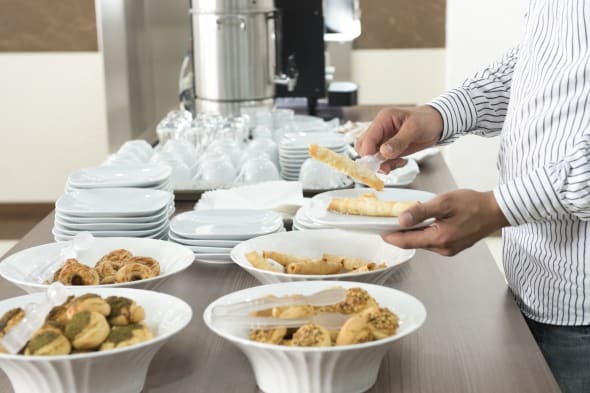 While those travelers preferring limited-service hotels are still in the minority, their ranks grew 55% from 2012 to 2013, according to the survey, and was the fastest-growing trend among the categories about hotel preferences [in the table here]. But it does indicate a growing trend away from travelers relying on the hotel to cater to their every need on the road. Many hotels are doing away with in-room telephones and pay-per-view television options, while free Wi-Fi is on the rise, especially at budget hotel brands. Would you book a hotel that doesn’t have a bar or restaurant if it meant saving a few bucks? What hotel amenities can you live without? In the last year, travel and Instagram have grown to go hand in hand. Seriously, how many photos did you post during your last trip? Banking on our selfie and hashtagging obsessions, the new boutique 1888 Hotel in Sydney, Australia has made Instagram a key part of its visitors’ experience. The lobby features a digital mural of Instagram shots, the front desk has a map of top picture taking spots that you should be sure to put on your to-do list, it offers a free night’s stay to anyone with more than 10,000 Instagram followers and there’s a specific booth for taking selfies when you check in, ensuring that you can make your friends jealous immediately. The photo-friendly theme makes sense; 1888 is not only a reference to the year that the building was constructed, but also when Kodak launched the first box and roll camera, the kind of thing you didn’t need a vintage filter for. But if you go, make sure you know how to take good pictures: each month the guest that snaps the best Instagram photo will get a free night’s stay. Is Solar Powered Travel The Next Big Thing? Using energy from renewable resources is always a good thing. But while adding solar panels to your own home might be an option, renewable energy is harder to depend on while you’re traveling. If we want to explore out of our immediate areas, we’re still stuck in a world of airplanes, cruise ships and cars after all. That might be changing. While we probably won’t be seated on a solar powered plane across the Atlantic anytime soon, solar power is being put to use in creative ways that could have big meaning for the travel industry. And not just in high tech backpacks. This summer, 55-year-old Bertrand Picard has spent much of his time flying in his solar-powered HB-SIA, a prototype plane with the same wingspan as an Airbus A340. Created in Switzerland, Picard’s Solar Impulse Project came to the United States in recent months, crossing from San Francisco to New York City in five stages. The goal is for a world circumnavigation with the next generation of the plane in 2015. Picard’s not the only one.Earlier this spring, Li Linxiang and his wife Zhao Yafan, a retired Chinese couple, set off to travel around the world on their own solar powered electric tricycle. They plan to make it through China, Kazakhstan and the Middle East before wintering in Ethiopia, and then enter Europe in spring 2014. Covering the entire globe? That will take them about five years. And while these examples may seem a little off the wall, solar power is nowadays becoming accessible to hotel guests around the world. From China to Maine to Australia, hotels are opting to power their operations with the help of the sun, and designers are working hard to come up with new ideas of how to put solar power to good use, in the hopes of greening the travel industry. Beyond hotels, there are plenty other examples of solar power and tourism coming together. This summer, New York City installed solar powered charging stations for cellphones and if you choose the right cruise line, you can even end up on a ship employing solar technology, like Celebrity Cruise’s Solstice. So while your next non-stop flight to Europe might not be fueled by the sun, keep an eye out for emerging technologies, and watch as hopefully more businesses in the travel industry put solar power to good use. Most passengers don’t even wait for the seat belt light to go off before jumping up from their seats and getting ready to disembark the plane, so it’s no surprise that in the hurry belongings often get left behind. You’re probably imagining that most of the forgotten items involve things commonly stowed in the seat back compartment, such as passports, books and cell phones — and you wouldn’t be wrong. But it seems many of our fellow travelers are also flying with some pretty strange cargo, at least according to a study by booking site Skyscanner, which rounded up the most bizarre things left behind by passengers on planes. Some of the oddities forgotten on flights include underwear, handcuffs and bags of diamonds — all the kinds of things that would certainly have you questioning who you’re sitting next to. Animals also made the list, with parrots, frogs, falcons and even eggs forgotten by their owners. Other items we’re not sure how the owners walked off without include prosthetic legs and glass eyes. However planes aren’t the only place where travelers experience forgetfulness. Airport security is an all too easy spot to misplace belongings and while many fliers forget their belts and keys, others leave behind false teeth, wigs and adult toys. London City Airport said these made the list of strangest things left in the terminal, along with an artificial skull, signed blank check book and yet another bag of diamonds. Hotels have also seen their fair share of wacky objects forgotten in rooms, including a showjumping horse, a life size cardboard cutout of a comedian and a wok (apparently the guest had filled the toilet with charcoal in the hopes of turning it into a barbeque). How Does Music Affect Your Hotel Decisions? Music is becoming common on hotel websites, but does it really make us want to book a room? So basically when we hear jazz we think of sipping bourbon in smoky interiors, while djembe makes us want to dance the night away in the moonlight. Um, OK.
Reading the article further, it turns out there’s a whole field of study devoted to figuring out what background music will do to our buying habits. Classical music makes us buy more expensive wines, for example, and playing French music will make us more likely to buy French wines. And here I thought the major determining factor was the physical attributes of my date. The results of this study are pretty impressive. Eighty percent of the participants in this experiment picked a hotel room when they heard jazz, while 62.5% of the djembe listeners picked camping. For those who didn’t hear any music, 27.5% picked the hotel and 30% picked camping. It appears that mood music is aptly named. Of course, hotel websites looking to get our money have to pick the right music. More often than not it’s some cheesy tune that makes us turn off the volume, or even worse for the hotel, click on another website. The annoyance factor is even higher if the music is clogging your slow connection or starts ringing out across your office, announcing to everyone that you’re slacking off. So instead of spending money on music for their websites, perhaps hotels should spend more on music in their rooms. While Blind Willie McTell isn’t around anymore to play his 12-string guitar while you scarf down all the pillow mints, there are plenty of out-of-work musicians who would be happy to serenade you for a small fee.